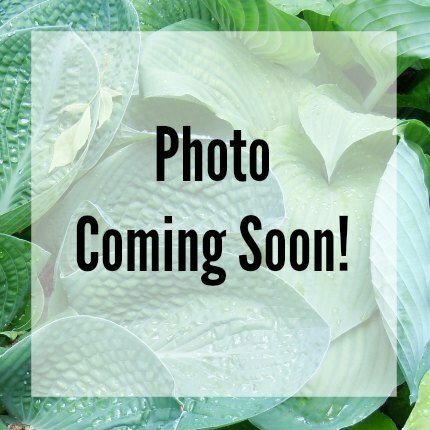 Abiqua Drinking Gourd – Med/Large: 24″ high by 46″ wide mound of deeply cupped, blue-green foliage; leaf size 11″ long by 11″ wide (16 vp); leaf blade very broadly ovate to rotund in shape, heavily corrugated and thick-substanced. 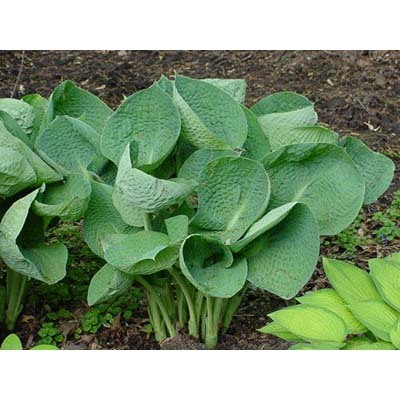 Abiqua Drinking Gourd’ Hosta is the Hosta of the Year for 2014. 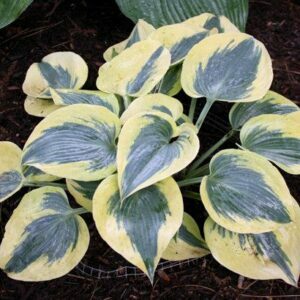 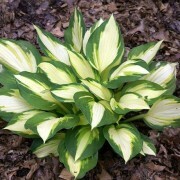 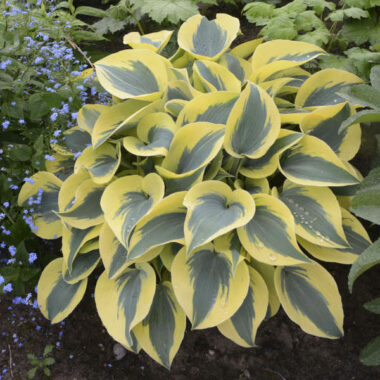 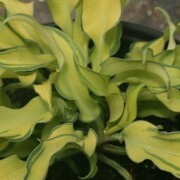 This very large hosta, has thick, deeply cupped and heavily puckered, powder blue leaves. 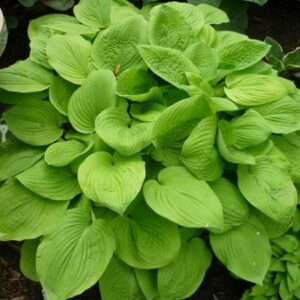 The cupped leaves are held upright forming an open climb about 20″ tall. 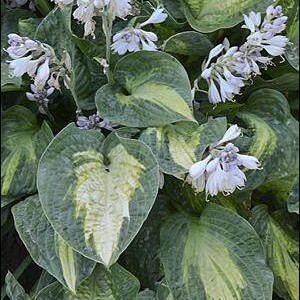 Flowers are near white with a bloom time of June/July.